Erica is having problems with her boyfriend Carlo, whom she suspects of womanizing. She and her best friend, Mayen, consult a fortune-teller who warns about danger that lurks ahead.When Erica ignores this, her relationship with Carlo becomes worst and even her friends Amy and Lemuel intervenes. Erica tries to patch things up with Carlo but Lemuel, who is protecting a hidden desire for her, also has some things to finish. 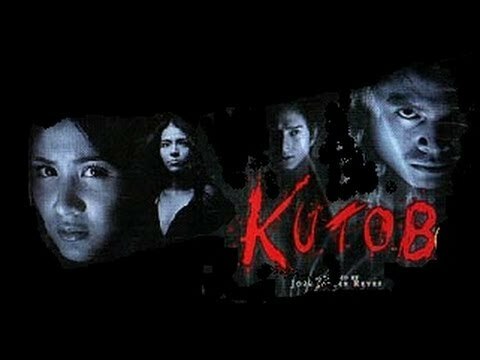 Kutob is a 2005 Filipino suspense horror film directed by Jose Javier Reyes; the title translates into "foreboding" in English. The film was a box office success in the Philippines, with both Reyes and Agustin also winning the Best Director and Best Actor awards respectively at the 2005 Metro Manila Film Festival; the film itself came third at the festival. The film contains elements of horror and the supernatural without being overtly of those genres, drawing comparisons in places to two US films; namely, Psycho and Carrie.